Currently He is seen as Lord Krishna in Star Bharat show Radha Krishn. Check out the most updated and latest information about Sumedh Mudgalkar's on the Internet.We have 29 videos of Sumedh Mudgalkar including interviews, events, or public appearances.Sumedh Mudgalkar has over 92 Fans registered on India-Forums.com. We have 45 Television News articles related to Sumedh Mudgalkar.Do share your criticism, comments and feedback for the Actor on Sumedh Mudgalkar's comments page. We have over 40 Photos of Sumedh Mudgalkar to view and download including Sumedh Mudgalkar's Wallpapers. Sumedh Mudgalkar , you are acting as Krishna very well . 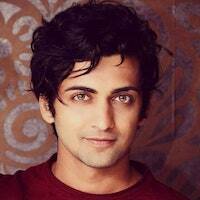 Sumedh Mudgalkar , you are a great actor . Sumedh Mudgalkar , you are excellent as Krishna , your eyes speak more than Radha's tears ! Sumedh Mudgalkar you are just stunningly terrific as Krishna. Your eyes speak louder than anything as Krishna. Your body language, expressions and look are perfect. After Nitish Bharadwaj, Sourabh Raaj Jain, you are another iconic Krishna. Sumedh Mudgalkar - I miss you so so very much :'( I don't think I will be able to put in words. Pls be back soon There can be no other like u! Sumedh mudgalkar missing u so much. ...sushim character ko I never hated coz of u and ur brilliant performance...hoping to see u in new project ...god bless! !